This kitchen Degreaser is amazing. My first job I tackled was a refrigerator pulled out of an apartment. The fridge had been in a kitchen for six years where a woman smoked and cooked with grease. I scrubbed the fridge with bleach and an SOS pad. When I’d done all I could do, the surface was still yellow and sticky. I sprayed Goo Gone Kitchen Degreaser on it. I let it sit for five minutes. Then I took a damp rag and wiped it down. Absolutely clean. No sticky or grimey feeling. Then I took it to a house where the residents had both smoked for at least 40 years. The walls were very yellow. I sprayed the Degreaser onto the wall and watched 40 years of nicotine and kitchen dirt slide down the wall. Saw the booth at the World Food Championship. Stopped By to say how much I like the stainless products. 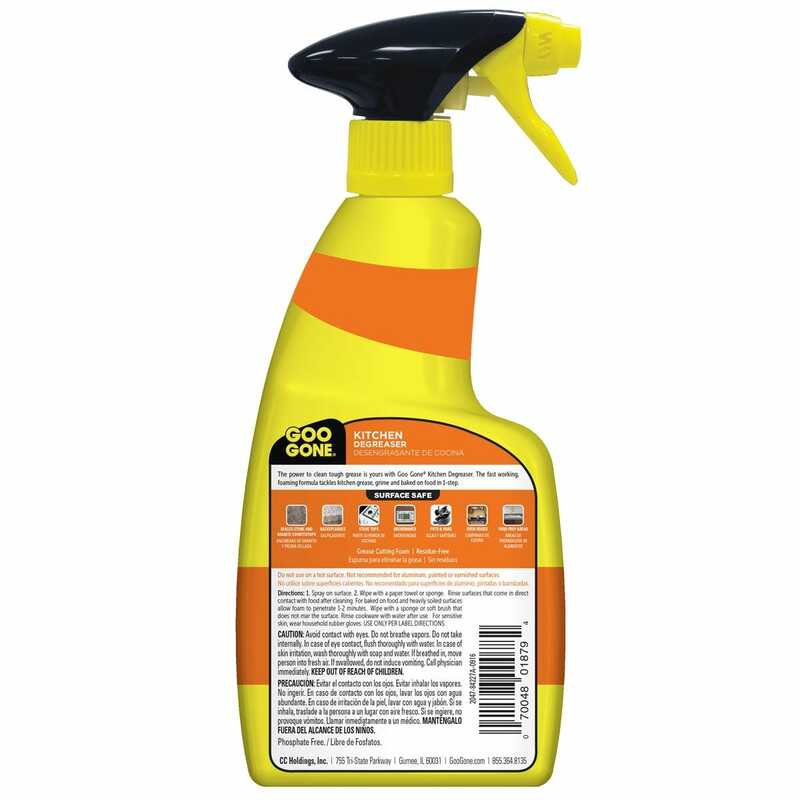 The staff was great at identifying my needs and pointing me toward a product I have never heard of that I need..kitchen degreaser I look forward to using the product and giving a review. The staff at you event was great and look forward to using the product. The powerful foaming action in our Kitchen Degreaser breaks down even the toughest gunk and grime, leaving your surfaces spotless. Do not use on a hot surface. Not recommended for aluminum, painted or varnished surfaces. 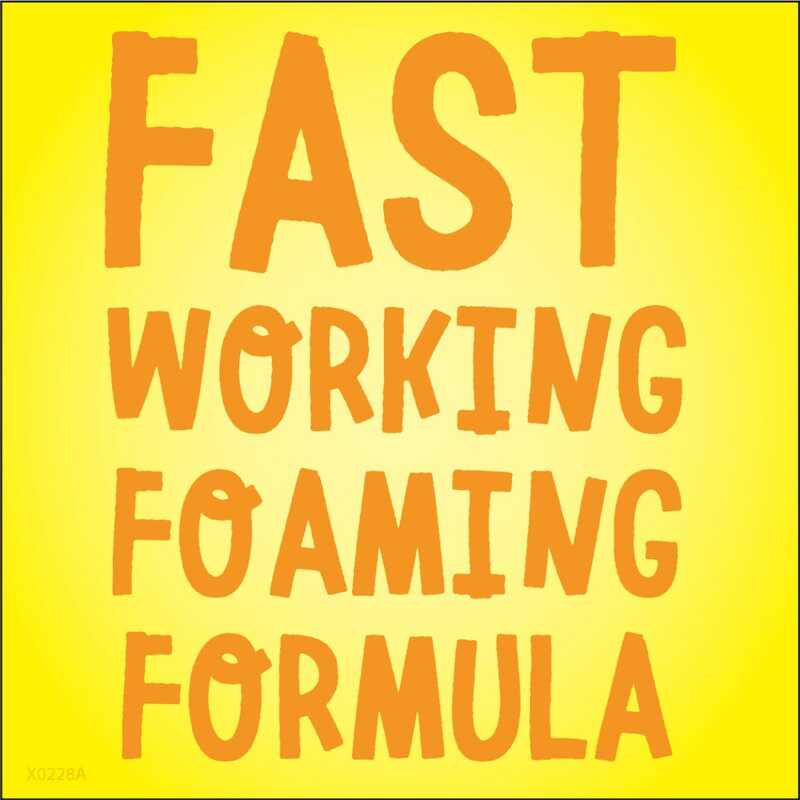 Spray on surface (for baked on food and heavily soiled surfaces, allow foam to penetrate 1–2 minutes). Wipe with a paper towel, sponge or soft brush that does not mar the surface. 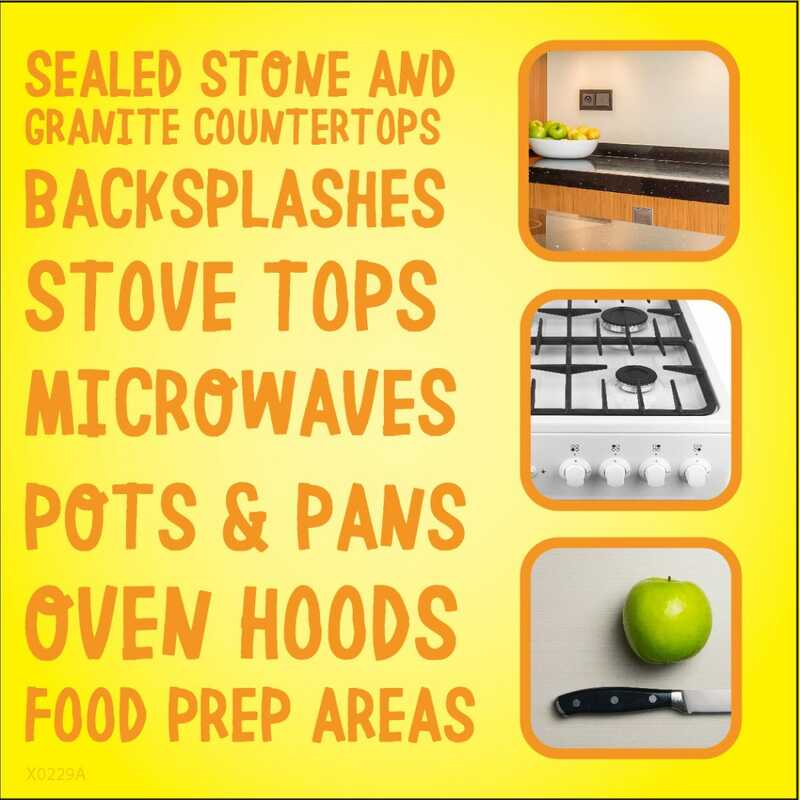 Rinse surfaces that come in direct contact with food after cleaning. For sensitive skin, wear household rubber gloves. Will this harm my stove? No, this formula is specifically designed to be safe on stoves, sealed stone, countertops, wood cabinets, kitchen appliances and more. Can I use this on pots & pans? Yes! It will remove tough, baked-on grease from pots and pans. Before using the dishes again, make sure you wash them with hot, soapy water. Do I need to rinse after using Goo Gone Kitchen Degreaser? 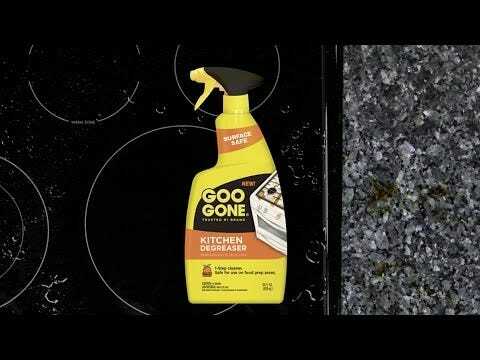 You should wash any surface that comes in direct contact with food after using Goo Gone Kitchen Degreaser. Wash with hot, soapy water. Can I use this product on kitchen cabinets? 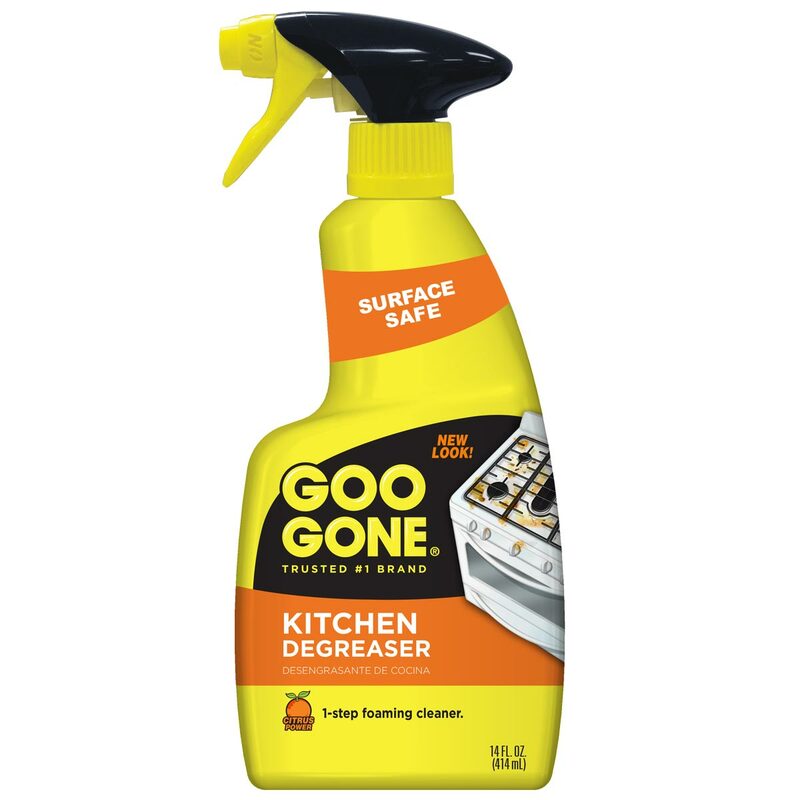 Yes, you can use Goo Gone Kitchen Degreaser on kitchen cabinets, assuming the wood is finished (most cabinets are). WORKS ON - kitchen grease, grime, and baked-on food. SAFE FOR USE - on finished wood, sealed stone, glass, plastics and ceramic/porcelain. Limpiador de grasa espumante con 1 paso. Es estupendo para mostrador, estufa, campanas de cocina, cacerola, sartén, y mas. 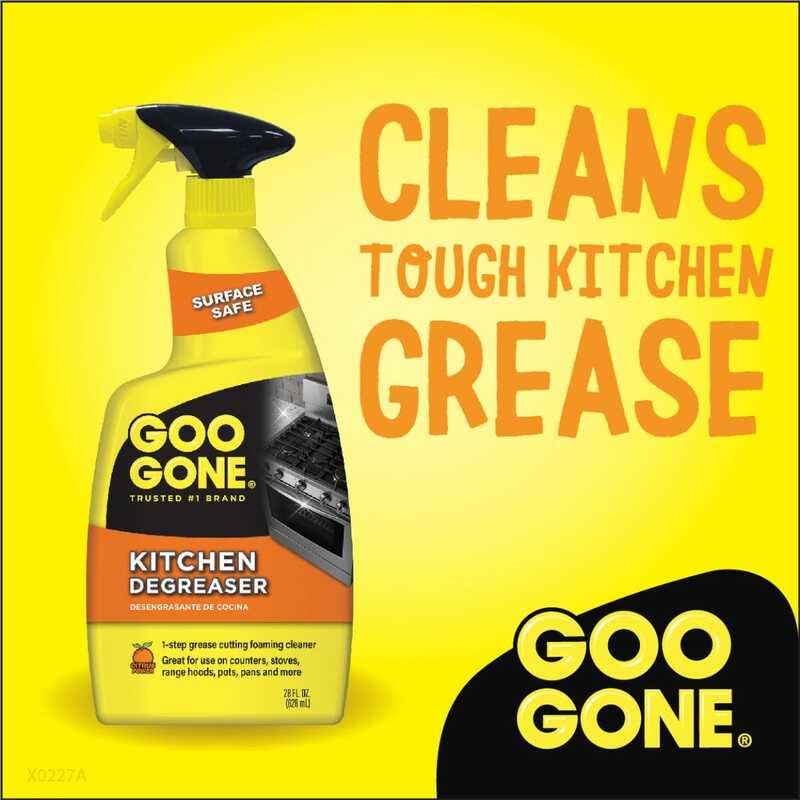 Goo Gone® Kitchen Degreaser tiene la potencia para limpiar la grasa más resistente. Su fórmula de espuma de rápida acción elimina la grasa, la suciedad de la cocina y los restos de alimentos pegados en 1 solo paso. Seguro para superficies: encimeras de granito y salpicaderos, parte superior de cocinas, microondas, ollas y sartenes, campanas de cocina, áreas de preparación de alimentos. No Utilice Sobre: No utilice sobre superficies calientes. No recomendado para superficies de aluminio, pintadas o barnizadas, mármol o travertino. Instrucciones: Pruebe previamente en un área poco visible. 1. Rocíe sobre la superficie. 2. Limpie con una toalla de papel o esponja. Para las superficies que tengan contacto directo con los alimentos, enjuague las superficies con agua después de limpiar. Para alimentos pegados y superficies muy sucias, deje actuar la espuma durante 1 a 2 minutos. Limpie con una esponja o un cepillo suave que no dañe la superficie. Después de limpiar, enjuague los artículos de cocina con agua. UTILICE SIGUIENDO ÚNICAMENTE LAS INSTRUCCIONES DE LA ETIQUETA. ADVERTENCIA: Evite el contacto con los ojos. No inhalar los vapores. No ingerir. En caso de contacto con los ojos, enjuagar con abundante agua. En caso de irritación de la piel, enjuagar con abundante agua y jabón. En caso de inhalación, llevar a la persona a un lugar aireado. En caso de ingestión, no inducir el vómito. Llamar al médico de inmediato. En caso de piel sensible, use guantes de goma domésticos.